Aspinall Bros of Huddersfield (Panda brand) are not a well-known rug supplier compared to Readicut or Patons. 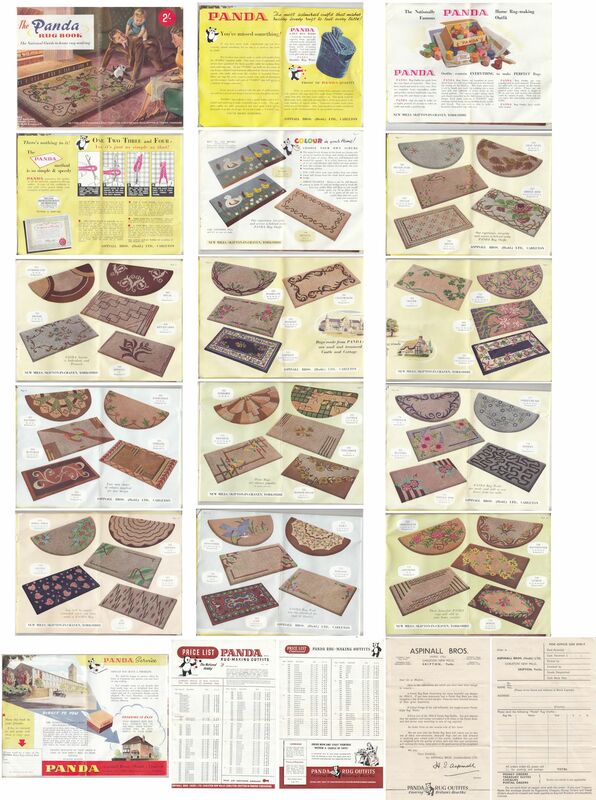 They produced a number of catalogues, some of which they called "National Guide to Rug Making." These are scans from their 7th catalogue.